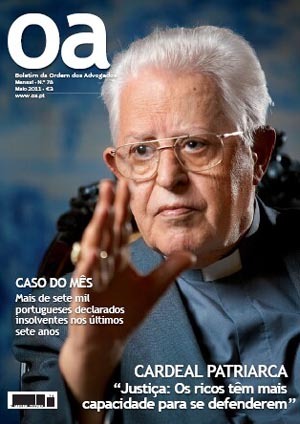 WOMEN PRIESTS, SERIOUS CRACKS IN THE DAM - In the May issue of the Bulletin of the Lawyers Society in Portugal, the Patriarch of Lisbon, Cardinal José Policarpo, gives an interview on different topics of the interest that has started to set off media fireworks. This reaction is due mainly to the news report of the interview by Ecclesia agency issued on June 22, 2011 and an item spotlighting the Cardinal’s words in Lisbon’s Jornal de Noticias [News Journal] on June 24, 2011. “At a certain moment the Holy Father seemed to settle the matter. However, I believe that this question cannot be resolved like this. Theologically there is no obstacle. Let’s just say that there is this tradition; it has never been done otherwise. I believe there is no fundamental obstacle. There is a fundamental equality of all the members of the Church. The problem should be placed in another perspective, that of a strong tradition that comes from Jesus and the ease with which the reformed churches have done this [ordain women]. “This did not help to find a solution to this problem, if this problem has a solution. If it does, it is not in our lives. In the time we are living, it is better not to even mention the problem, because it raises a lot of reactions.” (Ordem dos Advogados, May 2011, p. 40). Shortly before, asked about the possibility of allowing women to become priests, he also affirms: “At this moment the Pope does not have power to do this. It would cause tensions. It will only happen if God wills. If it is in God’s plan, it will happen” (ibid, p. 39). 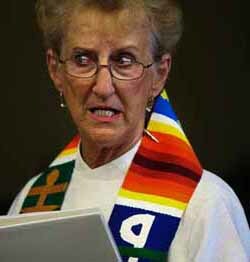 The only real reason not to ordain women priests now is the tensions it produces. One sees that the practical effect of these statements by the Patriarch of Lisbon is to add fuel to the blazing topic of women priests that has been in the news these last three months. Then Furst pondered that the 1.2 billion Catholics worldwide come from a broad spectrum of cultures and introducing women priests at the present time would endanger Church unity. Countries like Germany and US may be prepared for this step, but not others. 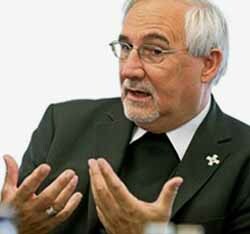 The Bishop of Stuttgart concluded: “If we differ too greatly on such pivotal issues, our huge Catholic family will be torn apart. I don’t rule out that there will be women priests one day, but not for the moment. I most probably won’t experience it in my lifetime” (The Tablet, May 28, 2011, p. 29). We see the same tactic of Cardinal Policarpo used by Bishop Furst: Both downplayed Church tradition; both approved the ordination of women in theory, but postponed it to a uncertain future for practical reasons, after tensions have diminished. Is this similarity only a coincidence or are both Prelates singing from the same score under the direction of the same maestro? Taking an indirect position against the John Paul II’s ban of women priests, Bucher affirmed that even though it was once agreed this was not a topic for discussion, “in our society today this would be extremely difficult. It can no longer be avoided.” The original statement of Bishop Buchel may be found in French here; a substantial summary can be read on the TIA website here. 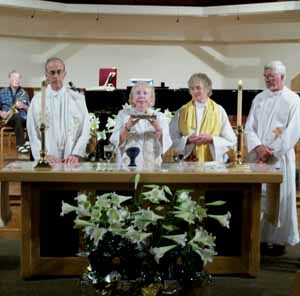 In that same year of 2007, Bishop Patrick Power of Canberra-Goulburn, Australia, supported a petition calling for a wide-ranging discussion about women’s ministry, including ordination (The Tablet, June 4, 2011, p. 6). Seventh, women priests will be approved. A similar process is in the works to abolish the vow of celibacy in the clergy. I believe that married priests will become a reality before women priests. But the maneuver to impose them is going full steam ahead.